Erythorbic acid_Erythorbic acid价格_Erythorbic acid批发_Erythorbic acid供应商-Yangzhou Chemical Co.,Ltd. 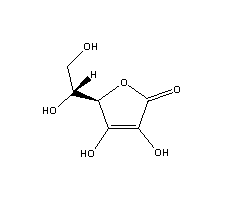 Erythorbic acid, formerly known as isoascorbic acid and D-araboascorbic acid, is a stereoisomer of ascorbic acid (vitamin C). It is a vegetable-derived food additive produced from sucrose. It is denoted by E number E315, and is widely used as an antioxidant in processed foods. Erythorbic acid is important antioxidant in food industry, which can keep the color, natural flavor of foods and lengthen its storage without any toxic and side effects. They are used in meat processing, fruits, vegetable, tin and jam etc. Also they are used in drinks, such as beer, grape wine, soft drink, fruit tea and fruit juice etc.